Have you ever felt uncomfortable with the word “marketing” when it comes to your nonprofit and your fundraising efforts? Do you equate “marketing” with “selling” and “selling” with “shady tactics that make you feel like a used car salesman? The last thing you want to do is turn people off to the good work of your nonprofit by being too pushy or by employing unethical sales tactics. Good for you, I say. But we need to be careful here. 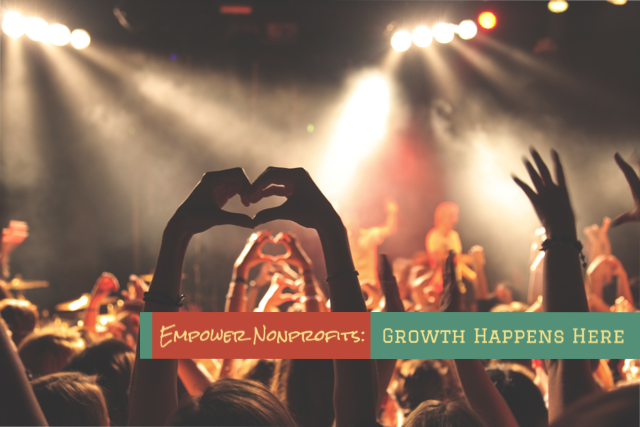 Marketing your nonprofit does not have to mean using pushy, annoying sales tactics to trick people into giving you their money. First, it’s important to understand that marketing principles are at play in any transactional decision whether it’s buying a used car or making a donation to a nonprofit. To ignore these principles is to the detriment of your nonprofit. The good news is that the most effective nonprofit marketing tactics should actually make you feel pretty good about yourself and the work you do for your cause. It has nothing to do with being pushy or using shady tactics to trick people. Below, let’s discuss a few approaches to marketing that will make you proud to be a “marketer” for your nonprofit. The foundation of effective marketing for nonprofits is built on the concept of permission-based marketing. You will only give information to people that are interested in receiving information. You will only give them the information they are interested in receiving. In practice, this simply means no spamming and no bombarding people with information they don’t want, didn’t ask for, or didn’t explicitly give you permission to give them. When people subscribe to your email list, they are giving your permission to email them. That is a good use of putting this principle to practice. However, if someone connects with you on LinkedIn and then you add their email address to your nonprofit newsletter without explicitly getting permission from them then you are not following this principle. You are spamming your LinkedIn connections. Not cool. Permission-based marketing is an effective nonprofit marketing principle because it treats your community of support with respect and puts them in the driver’s seat of what information they do and do not receive. This foundational principle ensures that your community of support is comfortable with the communications they receive from you and it makes them feel respected. Nothing icky about that, is there? I know it sounds like I’m telling you to kick them out of your house, but that’s not what I mean here. Used car salesmen often try to push their customers through doors. What we are going to do instead is show people that these doors (aka opportunities) exist and that we’re happy to open the door and walk through it with them if their interested. Since we only want to give people information they’ve given us explicit permission to give, then we need to make sure they are aware of all of their options and let them know we’re ready to walk with them through whatever door they choose. They are in control. They make the choices based on their interests. The third effective nonprofit marketing principle is to always GIVE FIRST. Most of our communications with our community of support are motivated by our desire to gain something from them – time, talent, or treasure. This inevitably results in a relationship where you keep taking from your community and never give back. These one-sided relationships rarely stand the test of time. Your goal should be to build lifelong relationships with your community. To do this you have to develop a relationship that is reciprocal. And the surest way to build trust and establish long-term relationships with your community is to GIVE FIRST. Find out what your community of support is really interested in. What is it that drives their interest in your cause? Then find ways to give them what they are looking for. It could be a simple as giving them information about how they can get involved. But that can often be seen as self-serving. One of the best ways to give first is to let them into your world by telling them great stories about your beneficiaries and donors. Let them feel a part of the work that you do by immersing them in these stories. Make them feel emotionally connected to your work. Give them access to the information they will need to fully understand the people you serve and the impact you have as an organization. Then show them the open doors and ask them which one they’d like to walk through. Thank you for these simple but very insightful tips. I’m excited to share them with my colleagues. You’re welcome, Cheryl! Thanks for reading and sharing!